The purpose of Impole's Revenue Stream Development suite of services is to arm sales teams with the right intelligence about their prospects' "buy" intentions and timeframe. As a result, deeper knowledge of account(s) dynamics produces high quality opportunities and agile sales planning, thus improving win rate. Our services are organized as a suite of value adding levels which describe market (account) landscape and the best routes for a sales approach. 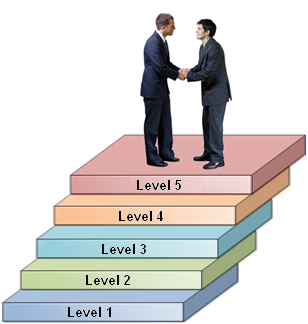 As each succeeding level adds more value, it also becomes more complex and requires deeper "know-how". The output from each level can be implemented on a standalone basis or as a component of a higher value packaged program. Applications of each level are multiple and only limited by one's creativity. To learn more about our revenue stream development services please click here. The thanks and heavy lifting goes to you and your team. I know you put forth your best work and talent to make this happen, embracing the goal as if it were yours and teaming with us for PURE success. We could absolutely not have asked for more dedication, passion, and excellence in execution. A pleasure and a privilege to know and work with your team. Many many thanks! We have successfully used Impole a number of times to penetrate accounts on behalf of partner solutions where we were not able to develop traction ourselves. A lead is a good start... but it is also just the tip of the iceberg. 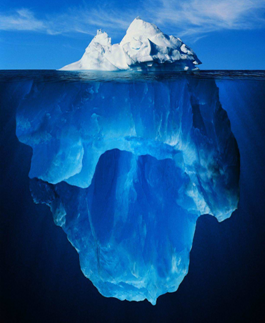 The "buy" decision is affected by many hidden factors which Impole brings to the surface and makes visible.